Louis Zeckendorf was born in 1838 in Hanover, Germany. He arrived in New York City in 1854. Louis Zeckendorf peddled merchandise around the New York area with goods on his back, eventually earning train fare to Kansas City. From Kansas City, he drove an ox wagon to Santa Fe, New Mexico, where he finally arrived, in 1855. 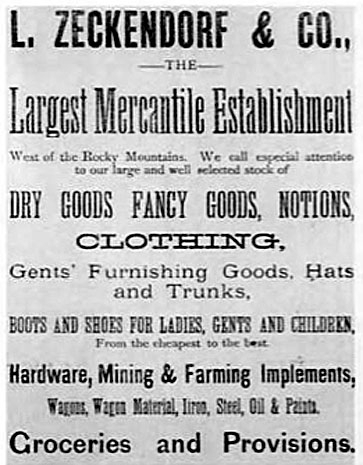 From 1855 to 1857, Louis Zeckendorf partnered with Simon Rosentein, who had a store in Albuquerque, New Mexico. In 1858 Zeckendorf joined with his brother, Aaron. Together, A. 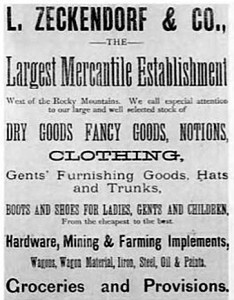 & L. Zeckendorf & Co. had stores in Santa Fe and Albuquerque. 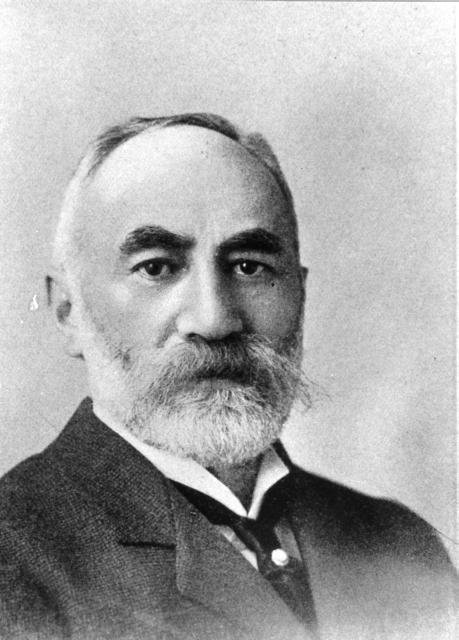 Louis Zeckendorf became a naturalized as a citizen of the United States in 1860. According to the territorial Census, Zeckendorf was then worth $20,000. 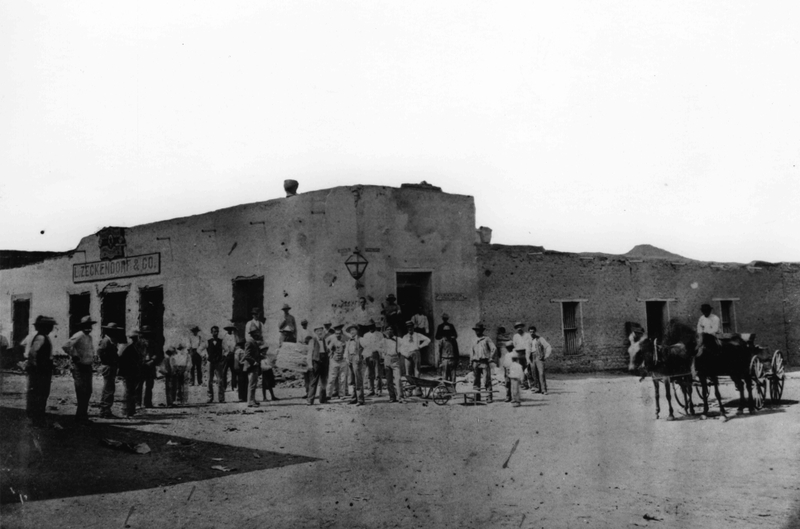 Louis Zeckendorf opened a third store in Tucson, Arizona in 1866. Aaron Zeckendorf died suddenly in 1872. 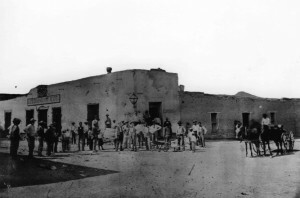 William Zeckendorf, the youngest brother, arrived after serving in the Civil War, and was sent to manage the Tucson store. William was a flamboyant merchant who loved publicity, but ran a very sloppy store. His wife made him retire and move back to the comforts of New York City. Louis Zeckendorf proceeded to make the Tucson store into one on the great merchandising establishments of the Southwest. L. Zeckendorf was noted for carrying a stock of general merchandise in large quantities of almost anything needed in this new territory. The sold at both retail and wholesale levels, distributing merchandise throughout Arizona and parts of Mexico. When, in the late 1890’s, Louis Zeckendorf moved to New York to handle the purchasing of the vast array of merchandise for the Tucson store, Albert Steinfeld was made supervisor and manager of the business. Louis Zeckendorf became a charter member of the Santa Fe Historical Society in 1860. Zeckendorf was a member of the Masons, Lodge No. 206, beginning in 1865. Louis Zeckendorf married Mathilde Z. Leventrill of South Carolina in 1870. They had one son: Arthur Louis Zeckendorf. Louis Zeckendorf died in 1937 at the age of 96. He is buried in the Zeckendorf-Leventritt Mausoleum, Salem Fields, Brooklyn. Abraham S. Chanin, “William Zechendorf I in the Arizona and New Mexico Territories, 1985-1878,” Western States Jewish History 32/2&3. “Louis Zeckendorf and His Brothers,” Western States Jewish History 22/1. “William Zeckendorf: A New Mexico and Arizona Pioneer,”Western States Jewish Historical Quarterly 11/4. Regina Merwin is curator of this Louis Zeckendorf exhibit.